3) Owners of cables or pipelines are to indemnify owners of ships who have sacrificed equipment in order to avoid damage to a cable or pipeline. 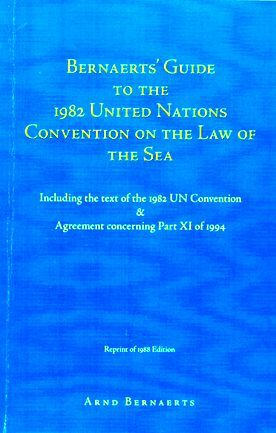 Until the middle of this century, the traditional international law of fisheries provided for a territorial sea of three nautical miles and the remainder of the oceans, the high seas, for which there was freedom of fishing. Although the Convention retains freedom of fishing on the high seas, the results are considerably different. Of greatest impact is the fact that the coastal states have the right to establish an exclusive economic zone which extends for 200 nautical miles from the coast within which they have fishing rights. About 90% of the commercially exploitable fish stocks can be found in such zones if they are universally established. The limited resources of the high seas, together with the various measures to be taken, make it essential to reach a balance between the conflicting principles of freedom of fishing and co�operative conservation and management of the resources of the high seas. 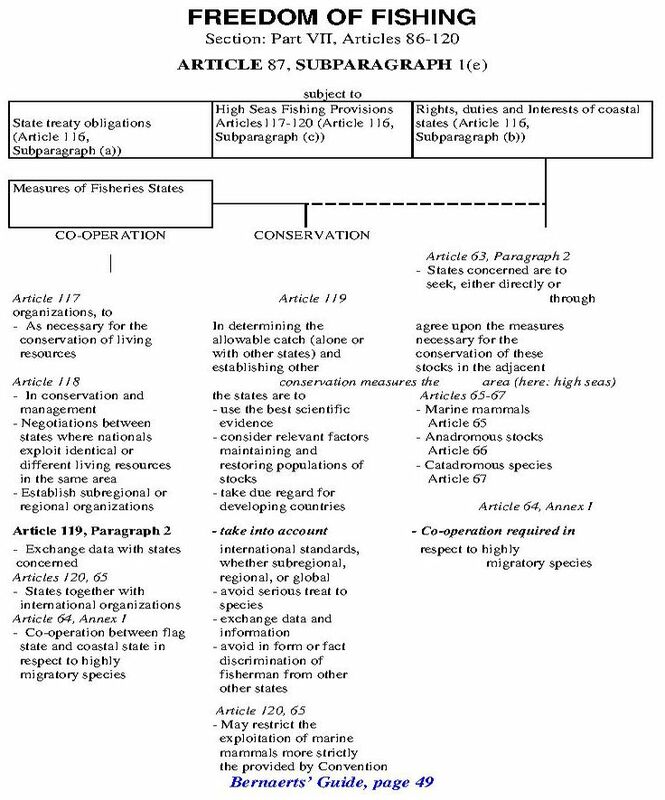 The Convention provides for the establishment of subregional or regional fisheries organizations to achieve this end.